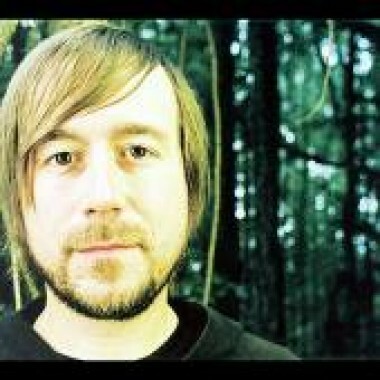 The Color Fred was the side project of former Taking Back Sunday guitarist and backup singer Fred Mascherino, that turned into a full time project and his departure from the group. Started while he was in the band Breaking Pangaea, The Color Fred is mainly Mascherino both playing guitar and singing. While on tour, Mascherino used a backing band for other instruments, but no one became a confirmed member of the project. 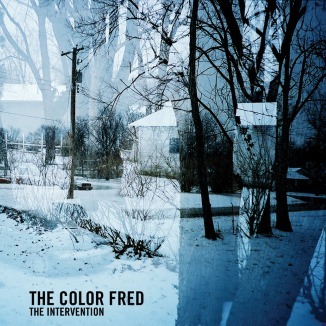 The Color Fred was featured on a compilation by Equal Vision Records in 2005. Mascherino has worked with Macbeth Athletics to design and produce the F. P. Mascho, as part of Macbeth´s Studio Projects. The shoe displays the drawings of Jude Ianelli that also appear on The Color Fred´s official website, and some lyrics. October 4, 2007, Fred left Taking Back Sunday to concentrate on this new project full time. The Color Fred is Fred Mascherino (vocals, guitar, keyboard, bass guitar) and Steve Curtiss (drums). Additional personnel that helped with the recording are Anton Patzner (violin, viola); Lewis Patzner (cello, bass guitar); Clint Stelfox (piano, Hammond b-3 organ); PJ Bond (bass guitar, background vocals). The album is more along the lines of straight up Alternative Rock. You can definately hear some Taking Back Sunday in this record, mainly because Fred was a primary songwriter for the group. Now this isn´t just a acoustic project that he released, This is a full band rocking album which is features those high guitar parts accompanied by the full rhythm rock. I don´t know if this will be a hit on radio as Taking Back Sunday is but its nice to see Fred doing what he wants and finding his own way in music. The album is more on the lines of "Where You Want to Be" with the rocker songs and acoustic songs as well. The mix between is very well balanced. "If I Surrender" is the first single released from the album and offers the best sound of the record. This is the most Taking Back Sunday style song on the record which features a very catchy chorus and melodies throughout. "Get Out" is another track featured on the band Myspace and is a nice acoustic starter that leads into a chugging guitar style song. the hooks on the album are delivered and the point is well delivered. you can almost tell these songs were not used for Taking Back Sunday, even though they resemble the band a lot. Not to say thats a bad thing, as he was a huge part of the band. A fine release from Fred and you will see good things come from this group. As more promotion arises i think you will see the band progress with full time members, especially with a tour coming up with Angels and Airwaves. I actually like this album better than the last Taking Back Sunday record as it has more hooks and the slower tunes as well that aren´t featured on the last Taking Back Sunday Record. Good for Fred, taking his own and creating a full out Rock album to display his great musicianship and great songwriting ability. Stand out tracks include: "Get Out" , "If I Surrender" , and "Hate To See You Go."